I have chaired 16 doctoral dissertation committees and tomorrow my 17th doctoral student will be defending his dissertation. In academia, we sometimes refer to the chair of a student's doctoral dissertation committee as his/her "advisor." So, necessarily, a conscientious advisor offers advice to students during his/her doctoral studies especially when it comes time to doing research for the dissertation. Here one may help in selecting the topic, suggesting related problems, assisting a student in getting papers out for publication in journals, listening to a student give a talk/seminar, etc. It is rewarding, as a faculty member, to see a student's progress and the greatest moment comes after the dissertation is successfully defended and the student receives the diploma wearing the cap and gown. Having a student get a really nice job is also important (to the student and his family and also to the advisor who has also invested a lot of time). I regularly offer my students advice -- even what publications they should read and send them links to interesting articles -- these can be in newspapers or magazines or journals or even working papers. Of course, it also is very helpful to read articles on how to do great research and to write papers. Hal R. Varian who needs no introduction to many and is now the Chief Economist of Google and an emeritus professor at UC Berkeley, having been the founding Dean of the School of Information there, wrote a piece, "How to Build an Economic Model in Your Spare Time," which is very useful not only to economists, but to operations researchers, and mathematical modelers, in general. An aside, my first book, "Network Economics: A Variational Inequality Approach," appeared in 1993 was the first volume in the Advances in Computational Economics series by Kluwer (now Springer), and then appeared in revised form in 1999. And, Hal Varian was on the editorial board as was Dan McFadden, who has since received the Nobel Prize. Plus, Hal will be giving a plenary talk at EURO -- INFORMS, in Rome, Italy, July 1-4, 2013.; the link to the conference website is here. Look at the literature later, not sooner. Stop when you've made your point. I loved how he compared developing a model and the associated creative process to sculpting. I take great pleasure in my research and do get a thrill like when I paint or look at art when the model makes sense, is elegant, and also abstracts something relevant and interesting in the real world. According to Hal Varian: This back-and-forth iteration in building a model is like sculpting: you are chipping away a little bit here, and a little bit there, hoping to find what's really inside that stubborn block of marble. I choose the analogy with sculpting purposely: like sculpture most of the work in building a model doesn't consist of adding things, it consists of subtracting them. This is the most fun part of modeling, and it can be very exciting when the form of the idea really begins to take shape. I normally walk around in a bit of a daze at this stage; and I try not to get too far away from a yellow pad. 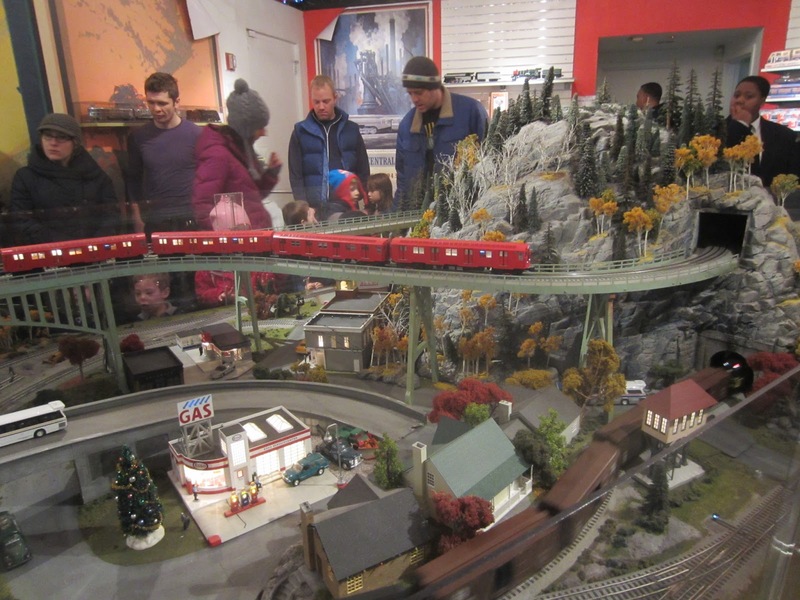 Eventually, if you're lucky, the inner workings of your model will reveal itself: you'll see the simple core of what's going on and you'll also understand how general the phenomenon really is. The invitation came through email from a chaired professor and I was very intrigued. The invitation stated: It is our pleasure to invite you to participate in the Presidential Dream Course titled “Understanding and Engineering Systems”. Dream Courses at the University of Oklahoma (OU) were initiated beginning in 2004 by President David L. Boren. The Dream Course program provides extra resources to enhance educational aspects of certain courses, in part for use to invite distinguished external speakers to campus. OU is particularly interested in courses that cover important topics for concerned and engaged citizens in the 21st century. Recognizing the increasing importance of systems, our School has recently re-configured itself to become a School of Industrial and Systems Engineering. This lecture series will help us to focus attention on systems and systems engineering. We expect attendees to include students and faculty from various colleges from the OU Norman and Tulsa campuses. We expect between 20 to 50 people to attend this lecture. On behalf of the course coordinators it is my pleasure to invite you to be one of the key note speakers. 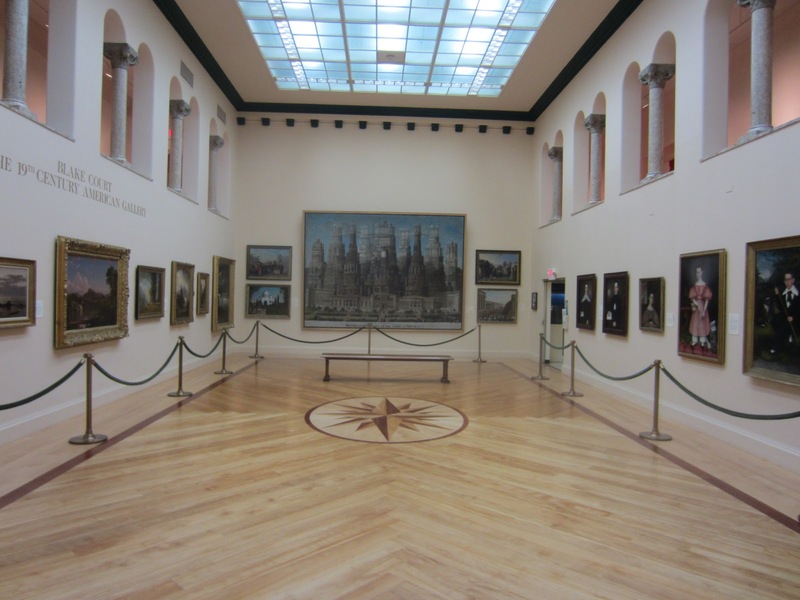 In addition, we invite you to offer a lecture to the public during your stay with us. We expect between 50 and 100 people to attend this lecture, including faculty, students, and the interested public, with backgrounds in engineering, economics, business, political science, humanities, and business. If time and travel constraints allow, these lectures are often accompanied by a reception and are covered by the daily university newspaper. The invitation came from Professor J. K. Allen, who is also the Chair of the Dream Course Committee. She is an MIT grad and a UCBerkeley PhD and had previously been at Georgia Tech -- a great role model! Since I work on network systems, the theme of the Dream Course was perfect and, since I have never, ever been to Oklahoma, this was a great opportunity. I also commend OU and its President for such a wonderful initiative! In doing some additional research, I found that Dr. Boren has been President of OU since 1994 and he has had an amazing professional career, having graduated from Yale and then going on to Oxford as a Rhodes Scholar, after which he obtained his law degree. He has been a Senator and has advised President Obama, among others. Of course, I said yes to the invitation and, in early April, after returning from Sweden, I will give a lecture in Professor Allen's Dream Course entitled: Grand Challenges and Opportunities in Supply Chain Networks: From Analysis to Design. My public lecture will be on: Assessing the Performance and Vulnerability of Networks from Transportation to the Internet, Financial Networks, and Supply Chains: What Nodes and Links Really Matter? I am very much looking forward to this speaking engagement. Interestingly, President Boren is also on the Board of Directors of Mayor Bloomberg's Foundation. Michael Bloomberg, the Mayor of NYC, and his philanthropy, especially to his alma mater, the Johns Hopkins University, were the subject of my most recent post. 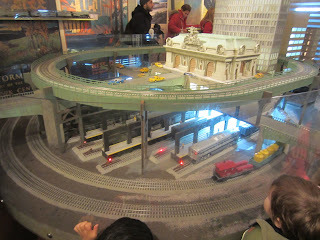 I am a big fan of NYC and also of its long-serving mayor, Michael Bloomberg, under whose leadership such changes to NYC (now permanent) as the closure of Broadway from 42nd Street to 47th Street to traffic and conversion to pedestrian plazas, have taken place. This was a subject of my interview for the America Revealed video with Yul Kwon. On the front page of today's New York Times, there is a terrific article on Bloomberg's love for his alma mater, Johns Hopkins University, to which, with his latest promised gift, he will have donated $1.1 billion dollars, with his first gift, upon his graduation in 1964, being a donation of $5. Coincidentally, my doctoral dissertation advisor at Brown University, Stella Dafermos (as well as her husband), had matriculated at Johns Hopkins University for their PhDs in 1964. The article is a great read and I was informed that Bloomberg was an engineering major (actually electrical engineering) and had gone to Medford High in Massachusetts, where he was very bored. I located an earlier article on Bloomberg and Medford which stated that he had been President of the Medford High School slide rule club (all the engineers of a certain age out there will appreciate this). Bloomberg attributes some of his leadership skills to his alma mater, where he was President of his fraternity and President of his senior class. The Times article also speaks to Bloomberg's love of his alma mater, and what his incredible financial contributions have built -- he has bankrolled and molded the handsome brick-and-marble walkways, lamps and benches that dot the campus; has constructed a physics building, a school of public health, a children’s hospital, a stem-cell research institute, a malaria institute and a library wing; has commissioned giant art installations by Kendall Buster, Mark Dion and Robert Israel; and has financed 20 percent of all need-based financial aid grants to undergraduates over the past few years. I very much appreciate his appreciation of and emphasis on art and on aesthetics. The children's hospital at Hopkins is named for Bloomberg's mother, Charlotte, and the exterior was inspired by Monet's paintings. 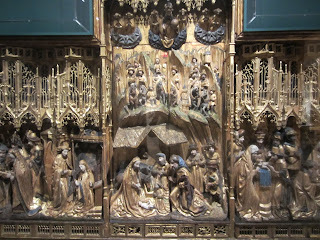 Since I was in NYC earlier this month and went to the Museum of Modern Art (MoMA), I managed to snap the photos below. I wonder how much Bloomberg has given to Harvard, where he received his MBA? The residential college experience can be life-transforming as Bloomberg's experiences at Johns Hopkins University clearly show. I wonder what percentage of college graduates give back financially to their institutions? Are Your Students Getting Jobs at the Best Companies to Work for? Have you ever envisioned your dream job? I regularly ask my students where would they like to work after graduation and I ask this question of both my undergraduate and graduate students. Some have geographical preferences (don't we all, in a sense) whereas others look for "name" companies and/or those that provide certain benefits. Ultimately, employees will stay with an organization (company or, in the case of certain PhD graduates, a university or college) if they feel appreciated and are "happy." Fortune has released its list of top 100 companies to work for and what really pleased me was the list included so many companies that our graduates in Operations Management (undergrads) and Management Science (PhDs) have been or are presently employed by. Note the majority of our PhD graduates from the Isenberg School of Management at UMass Amherst do enter academia. At the top of the list was Google (not surprising) but second on the list was SAS, where one of my former PhD students, Dr. Padma Ramanujam, works. I had blogged about visiting her there last year while at the SAMSI workshop and being hosted by Dr. Radhika Kulkarni, who is a fellow recipient of the INFORMS WORMS Award. The cafeteria reminded me of places in Sweden, which I regularly write about. I had been on a dissertation committee of a PhD student at UMass in computer science and he is employed by Google. Dr. Davit Khachatryan, who also received a PhD with a concentration in Management Science from the Isenberg School of Management, recently gave a talk at the Isenberg School, in our Meet a PhD Alum initiative, works at Price, Waterhouse, and Coopers, which is 81 on the list. And our most recent PhD recipient in Management Science, with an official PhD receipt of February 1, 2013, is Dr. Milad Ebtehaj, whose new position is with Fedex, number 98 on the list. I have had former undergrads in Operations Management also work for Fedex, as well as for Deloitte, number 47 on the list. Ernst&Young is number 57 on this latest ranking, and one of our former Jack Welch scholars is employed by this company in Boston. I have a warm spot for Ernst&Young because of the recognition that I received from them for my mentoring activities (Thanks!). I could list more connections between our graduates and the best companies to work for but I will stop here. Congrats to all the companies that made the list, which, even if they do not employ our graduates now, they may do so in the future. In any event, it is clear that being good to employees is good for business! Have you ever seen an unhappy employee at Whole Foods? Just two weeks ago, we were in NYC and took the MetroNorth Train from New Haven to Grand Central Terminal, which, as always, was majestic. The New York Times yesterday (Sunday edition) had a wonderful multipage article with large color photo on the Grand Central Terminal, which I will share with my students in the Transportation & Logistics class that I teach in the Fall. The building of it was quite the engineering and construction marvel and soon we will be celebrating its 100th birthday. The article was by Sam Roberts, whose new book, "Grand Central: How a Train Stations Transformed America," will be out soon. The Times also has a nice video by Mr. Roberts. 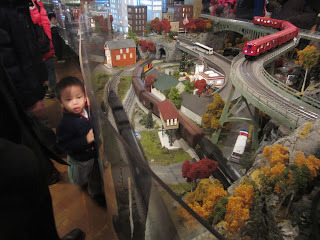 While passing through Grand Central Terminal we also stopped by the New York Transit Museum Gallery & Store there and the photos below were taken of the model train exhibit there, which delighted train lovers of all ages. 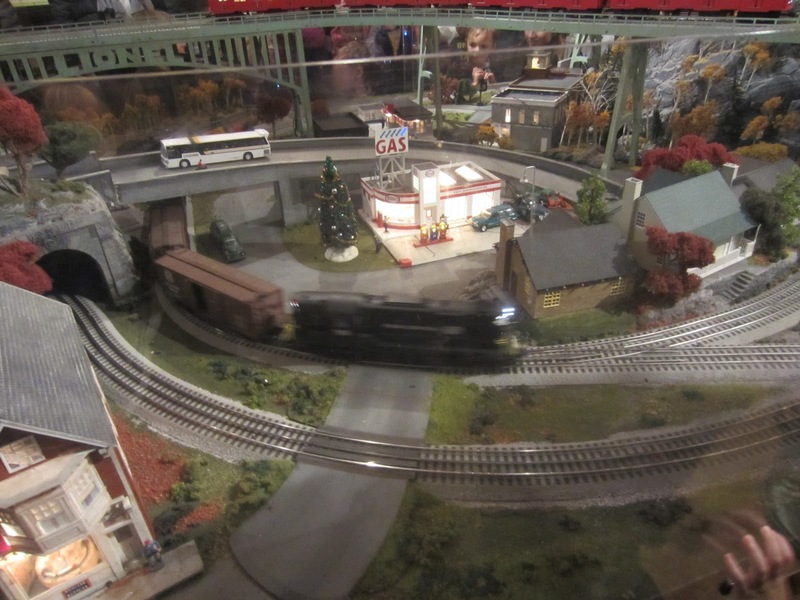 And, since I could not resist, and we now only have the memories and photos, below is a video of the models train that provided enjoyment during the holiday season in our home. And, for some previous posts on real trains and model trains click here and here. For the past several years I was on the SBP (Social Computing, Behavioral-Cultural Modeling and Prediction) Conference Committee and enjoyed working with a great group of colleagues with the grand finale being the conference itself. I had been responsible for the tutorials and also helped to identify several keynoters over the years. Together, with Dr. Patrick Qiang, I also gave a tutorial. at SBP 2010. This year, since I am on sabbatical and have been and will be out of the US a lot, I stepped down from the committee. The SBP 2013 Conference will take place in Washington DC, April 2-5, and the keynoters are wonderful: Dr. Bernardo Huberman of HP, Dr. Michelle Gelfand of the U. of Maryland, and Dr. Myron Gutman of NSF. The tutorials should also be great. 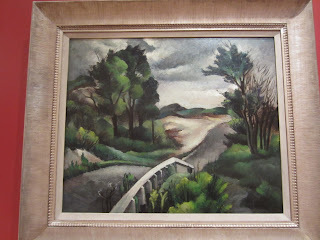 But what really caught my interest, and the news is starting to circulate via various e-lists, is the Challenge Problem. with assistance from none other than Dr. Alex (Sandy) Pentland of MIT, who was one of the tutorial givers that I had invited for the SBP 2011 Conference. He also was one of the plenary speakers at the Northeast Regional INFORMS Conference at UMass Amherst that I was involved in (and, I do admit, it was wonderful). Dr. Pentland had also spoken in our UMass Amherst INFORMS Speakers Series. The deadline for the challenge problem is January 31, 2013, so time is tight! SBP is offering a challenge problem for the second time in 2013. We organize this challenge to encourage researchers to combine the power of big data and the power of systems thinking in the field of social computing, behavioral-cultural modeling, and prediction. These datasets are brought to you by the MIT Human Dynamics Laboratory, with special thanks to professor Alex (Sandy) Pentland and his research team. Cell phones afford a convenient platform to advance the understanding of social dynamics and influence, because of their pervasiveness, sensing capabilities, and computational power. Many applications have emerged in recent years in mobile health, mobile banking, location based services, media democracy, and social movements. With these new capabilities, we can potentially identify exact points and times of infection for diseases, determine who most influences us to gain weight or become healthier, know exactly how information flows among employees and how productivity is affected in our work spaces, and understand how rumors spread. There remain, however, significant challenges to making mobile phones the essential tool for conducting social science research and also support mobile commerce with a solid social science foundation. Perhaps the greatest challenge is the lack of data in the public domain. There is a need for data large and extensive enough to capture the disparate facets of human behavior and interactions. Another major challenge lies in the interdisciplinary nature of conducting social science research with mobile phones. Software engineers need to work collaboratively alongside social scientists and data miners in various fields. Data center dynamics: The data contain the performance, behavior, and interpersonal interactions of participating employees at a Chicago-area data server configuration firm for one month. It is the first data set to contain the performance and dynamics of a real-world organization with a temporal resolution of a few seconds. The sensor data were collected by Daniel Olguin, Ben Waber, Tamie Kim, and Alex Pentland in 2007 using Sociometric Badges. Social Evolution in an undergraduate dormitory: The data contain surveys and sensor data about the diffusion of political opinions, diet, exercise, obesity, eating habits, epidemiological contagion, depression and stress, and political opinions from 70 residents of an undergraduate dormitory. These residents represent 80% of the total population. Friends and Family dataset: The Friends and Family experiment was designed to study (a) how people make decisions, with emphasis on the social aspects involved, and (b) how we can empower people to make better decisions using personal and social tools. The subjects were members of a young-family residential living community adjacent to a major research university in North America. All members of the community are couples, and at least one person in each family is affiliated with the university. The community is composed of over 400 residents, approximately half whom have children. The sensor data in this data set were collected using the funf open-source sensing platform for Android phones. Reality Mining dataset: Data contain the dynamics of 75 students/faculty in the MIT Media Laboratory, and 25 incoming students at the MIT Sloan business school adjacent to the Media Laboratory. The Reality Mining experiment conducted in 2004 was the first to study community dynamics by tracking a sufficient amount people with their personal mobile phones and resulted in one of the most complete mobile data sets with rich personal behavior and interpersonal interactions. Prior to this experiment, cell phones were not powerful enough to track people. Users will be asked to fill out a short form and agree to privacy and data use restrictions. Submissions Submissions will be evaluated based on theoretical grounding as well as use of evidence. Winners will be selected by an interdisciplinary committee of researchers and will be recognized at the conference with 1st, 2nd, and 3rd prizes. The winners will introduce the idea briefly at the conference to the audience and/or give a quick demo. Challenge organizers intend to organize winning entries into a special issue of an appropriate journal. The submissions (6 pages) should be formatted according to the Springer-Verlag LNCS/LNAI guidelines. Sample LaTeX2e and WORD files are available from http://www.springer.com/computer/lncs?SGWID=0-164-6-793341-0.. Submissions for the challenge can be made here. BibTeX files can be read by most bibliographic software packages well as LaTeX. Many free converters are available. Matthew Lease, School of Information, University of Texas at Austin "Discovering and Navigating Memes in Social Media"
Masoud Makrehchi, Research Scientist, Thomson Reuters, Toronto, Canada "Conflict Thermometer: Predicting Social Conflicts by Analyzing Language Gap in Polarized Social Media." This week, I am marking 4 years of writing on this blog with my first post back in January 19, 2009 noting the new Presidential administration and my Letter to the Editor published in The New York Times about teaching my undergrads. My Fragile Networks book, with Dr. Qiang, was then in production and was published that June. 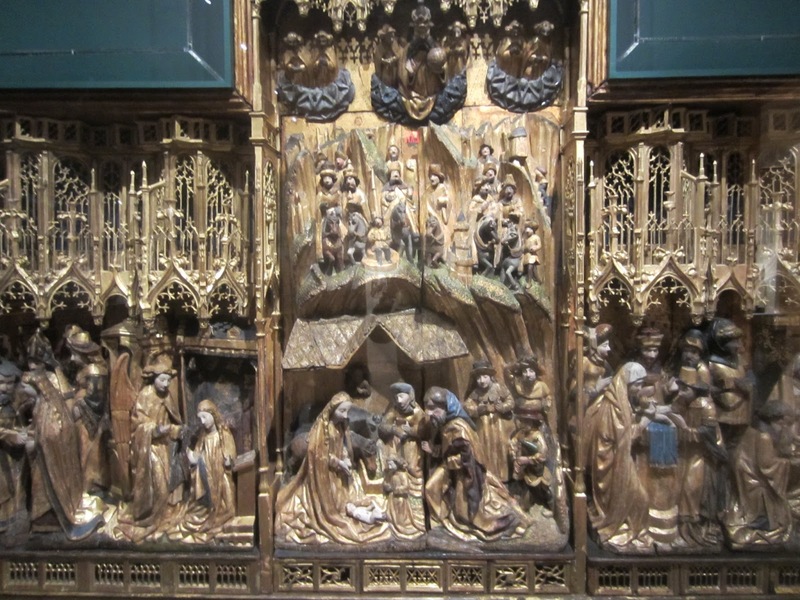 I have tried to keep true to the themes of this blog: Research, Education, Networks and the World and writing posts and receiving feedback has been a terrific journey, I must say. My fellow bloggers in Operations Research / Management Science, led by Dr. Thaddeus Sim, started a very interesting discussion with his post: Academic blogging: teaching, research or service? that I kept on coming back to and ruminating about. (You can find a list of our community of bloggers at the OR Social Network Users Directory). One might wonder, how can a Professor, with all of the commitments to research and publishing, teaching, and professional service, plus having a personal life and a heavy travel schedule, find time to keep up a blog, which now numbers over 1,000 posts? Also, as Dr. Sim and company noted, how does doing so even count or matter in academia? Besides being a high energy individual, with a lot of discipline and focus, there are many topics that I am passionate about and I view blogging as outreach. In writing about matters of research, education, and what is happening in the world, whether in one's courses and classrooms to major events, I try to communicate and to inform. So many schools and colleges have now sadly dropped their emphasis on communications with fewer glossy reports and publications and magazines and even cutbacks on what is posted on websites (with social media being the exception). Plus, the fact that the news media is deemphasizing articles on research and science is well-known, so we need to fill the voids. I like to celebrate the accomplishments of my students, to recognize great achievements, to highlight research advances, to thank outstanding speakers, to describe travel adventures, to recognize the special communities that we are part of, and, also, to offer advice. I also write about leadership and acknowledge role models. Blogging provides a record of impacts of events and milestones. Whether one's academic institution recognizes blogging (I have yet to report any posts on my Annual Faculty Report but have gotten numerous thank you's even from alums for my postings as well as former administrators and students and readers from around the globe) when I have helped to further research or practice, to put a smile on someone's face, to make someone think differently, to support students either directly or indirectly and the same goes for others, or even to elicit some positive change (I have some great examples of this), then I know that it has been worthwhile. And yes, academic blogging may include all three facets of research, teaching, and service but in sharing our experiences and insights we are also reaching out as a public service. And, now four years later, President Obama is reelected and my new book will be out soon! Soon a new academic semester will begin and although I am on sabbatical and will soon be heading back to Sweden, I am helping the UMass Amherst INFORMS Student Chapter organize some activities, which, of course, includes bringing speakers to our campus. Propitiously, Professor Tina Wakolbinger, who is now a Professor at the Vienna University of Economics and Business in Austria, will be taking part in the Dynamics of Disasters Symposium that I organized for the AAAS Boston meeting. 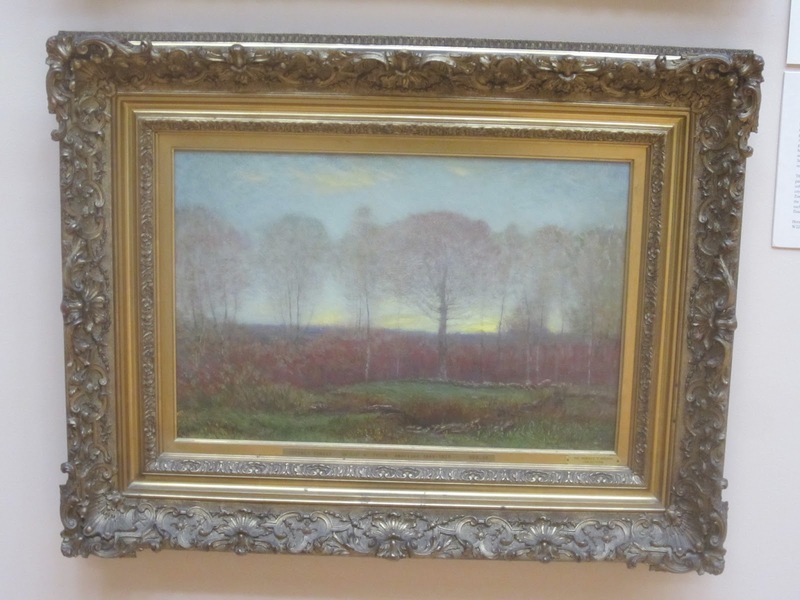 Afterwards, she will be traveling to Amherst, Massachusetts. I was Dr. Wakolbinger's dissertation advisor at the Isenberg School and her concentration was Management Science so I am a very proud Academic Mom. The UMass Amherst INFORMS Student Chapter will be helping me to host her visit and the students have designed the above poster for her presentation. So, do mark your calendars and we hope that you can join us on February 19, 2013! More information is below in the announcement and in the above poster. 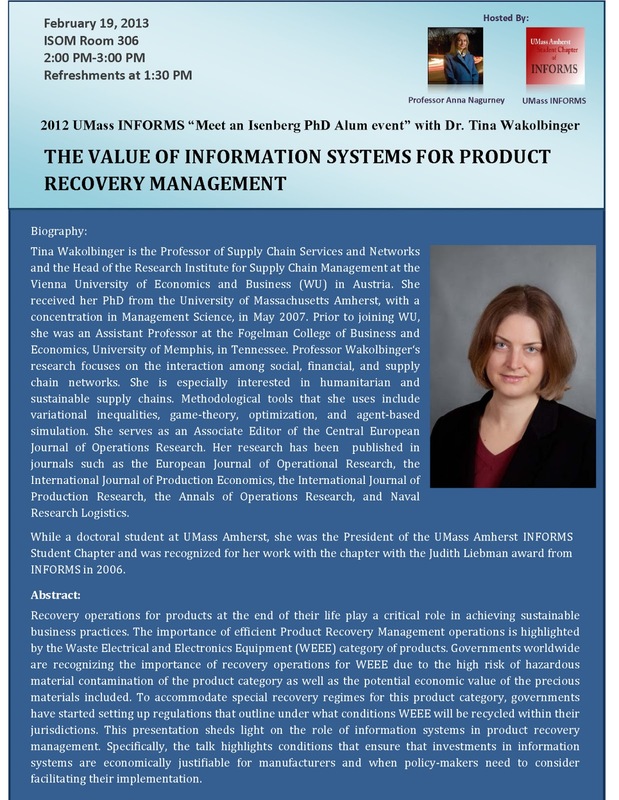 The UMass Amherst Student Chapter of INFORMS is pleased to announce a talk by our guest speaker, Professor Tina Wakolbinger. Dr. Wakolbinger is a UMass Isenberg PhD Alum. She will be visiting us on February 19, 2013. Tina Wakolbinger is the Professor of Supply Chain Services and Networks and the Head of the Research Institute for Supply Chain Management at the Vienna University of Economics and Business (WU) in Austria. She received her PhD from the University of Massachusetts Amherst, with a concentration in Management Science, in May 2007. Prior to joining WU, she was an Assistant Professor at the Fogelman College of Business and Economics, University of Memphis, in Tennessee. Professor Wakolbinger's research focuses on the interaction among social, financial, and supply chain networks. She is especially interested in humanitarian and sustainable supply chains. Methodological tools that she uses include variational inequalities, game-theory, optimization, and agent-based simulation. She serves as an Associate Editor of the Central European Journal of Operations Research. Her research has been published in such journals as the European Journal of Operational Research, the International Journal of Production Economics, the International Journal of Production Research, the Annals of Operations Research, and Naval Research Logistics. Professor Wakolbinger is a recipient of the Judith Liebman Award from INFORMS, among other awards. 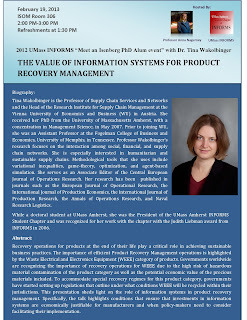 Title of her presentation: "The Value of Information Systems for Product Recovery Management". For further details, please see the attached poster. For those of you who would like to meet Professor Wakolbinger in an informal setting, please join us that morning in ISOM Room G28 from 10-11:00AM for a "Meet and Greet." UMass Amherst INFORMS Student Chapter website. This morning, I went with my daughter to the Cushman Market and Cafe in North Amherst for some delicious breakfast. Cushman is an institution and it is always fun to see who else is there -- from the runners to neighbors to colleagues to the writers and the techies and entrepreneurs in front of their laptops. This morning while eating pancakes, eggs, and yummy blueberry muffins, two of our favorite colleagues, who are economists, stopped by, along with their son, who had also graduated from Deerfield Academy, my daughter's high school alma mater. And the conversation soon journeyed to travels in Europe and when I would be back to Sweden (soon) and how much I enjoyed my time on my sabbatical at the University of Gothenburg. I was then asked whether I had seen Joy of Stats, in which Dr. Hans Rosling, who is a medical doctor and Professor of Public Health Science at the Karolinska Institute in Stockholm, talks about the importance of statistics through the ages. I had not realized until I got back home that I had seen an interview on Swedish TV with Dr. Rosling and had enjoyed his energy and sense of humor as he spoke about the importance of visualization in statistics and of data and various applications, especially in healthcare. He has spoken at TED multiple times. So, this morning, having sent off a draft of a revision of a paper to a collaborator who is thousands of miles away, I decided to view Joy of Stats. It is a mesmerizing video, complete with scenes of Stockholm, San Francisco, and beyond, set to a background of great music and commentary by Dr. Rosling. Along with. interviews, including one with a researcher at Google, make for a very dynamic and informative video. I enjoyed how the great work of Florence Nightingale, renowned for her contributions to nursing, also influenced statistics and data visualization. The mapping of types of crime in San Francisco was also really interesting. I do believe, however, that the biggest advances in big data and analytics will come from synergies across statistics, operations research, economics, and computer science. The video did emphasize machine learning for language translation, as is being done at Google, but we need also more emphasis on prescriptive analytics, where operations research excels. We may know where crimes occur but, given limited resources, how should the police be allocated and where? Also, without the understanding of economics, one cannot effectively capture individuals' and groups' behavior.and motivations. Nevertheless, it is great to see kindred spirits, such as Professor Rosling, who get excited about the real world, about numbers, and making sense of it all in order to help humanity and who can communicate the joy behind scientific discovery in such an eloquent and entertaining way. Supply chains underpin our economy and are part of each and every industry. To model and solve supply chain problems, one often has to take a multidisciplinary approach. Never more so than in the case of medical nuclear supply chains, a topic that we have been researching for several years now and have even written an OpEd piece . These supply chains are especially vulnerable due to the aging of the nuclear reactors where the isotopes are irradiated. Each day, 41,000 nuclear medical procedures are performed in the U.S. using Technetium-99m, a radioisotope obtained from the decay of Molybdenum-99. The Molybdenum is produced by irradiating Highly Enriched Uranium (HEU) targets in research reactors. The radioisotopes are used in medical imaging and diagnostics ranging from cardiac problems to cancer. When I was an undergraduate at Brown University, and then a graduate student there, I remember being told that one might make use of subject matter in the future that one was studying even though it might not be apparent or even envisionable at that point. I especially enjoy working on systems, notably, network systems, and, hence, my love of supply chains. I would argue that medical nuclear supply chains are the most multidisciplinary supply chains and to capture their functionality (and, of course, vulnerability) and, hence, to improve their operation as well as their design, one has to be knowledgable about physics, chemistry, biology/medicine, and, of course, operations research. This may entail collaborations across disciplines but that is an approach that pushes knowledge forward. Above we have composed a graphic that highlights some of the salient issues surrounding medical nuclear supply chains. Our most recent paper on the topic is: Securing the Sustainability of Global Medical Nuclear Supply Chains Through Economic Cost Recovery, Risk Management, and Optimization, Anna Nagurney, Ladimer S. Nagurney, and Dong Li, to appear in the International Journal of Sustainable Transportation. An earlier paper of ours: Medical Nuclear Supply Chain Design: A Tractable Network Model and Computational Approach, Anna Nagurney and Ladimer S. Nagurney, was published in the International Journal of Production Economics 140(2): (2012) pp 865-874. A lecture given on the topic to biomedical engineers, which has additional background material, can be accessed here. Another nice lecture on prezi, which cites our work, and has stunning graphics, can be viewed here. Hence, do listen to your professors -- chemistry, physics, biology, and math, and operations research you may one day be using and applying and even integrating! CNNMoney is celebrating that Fortune 500 women CEOs hit a milestone in that, as of January 1, 2013, there are now 21 female CEOs of Fortune 500 companies with recent female leaders heading up such high tech firms as Lockheed Martin, HP, Yahoo, and IBM and even General Dynamics. Alright, so the fact that 21 of the Fortune 500 CEOs are now females is certainly reason to celebrate but this is still a measly 4.2%. And it is certainly terrific that there are now 20 female Senators in the US Congress. Now, let's look at the Ivy League colleges -- that is where the representation at the top -- at the Presidential level -- reflects more the population at large in terms of gender and we should be celebrating that. As we start off the New 2013 Year, 5 our of the 8 Ivy League universities are being led by females. My alma mater, Brown University, has as its new President, Dr. Christina Paxson, who, just a few months ago, took over the Presidency of brown after the long leadership of Dr. Ruth Simmons. Very cool that Brown picked another female President! Harvard University, also my alma mater since I was a Radcliffe Fellow, has at its helm, Dr. Drew Gilpin Faust, whom I have also blogged about. She was the Dean of the Radcliffe Institute for Advanced Study while I was a Fellow there and took over after Dr. Larry Summers stepped down from the Presidency of Harvard. Princeton University is still being led by Dr. Shirley Tilghman, but she will be stepping down soon -- will Princeton select another female is its new President? Dr. Amy Gutmann has been the President of UPenn since 2004 and has done wonderful things for this Ivy League institution. And Dr. Carol Folt is now the Interim President at Dartmouth College. She has this position until Dr. Philip Hanlon (male) assumes the Presidency of Dartmouth soon. I have blogged about him since he is a mathematician and we have an intellectual connection since his dissertation advisor at CalTech was Dr. Olga Taussky-Todd and I used one of her theorems in my doctoral dissertation. Columbia University, Yale University, and Cornell University, which complete the roster of eight Ivy League universities, are led by males and, as far as I know, have always had male Presidents. The incoming President of Yale will be male. Dr. Peter Salovey, Yale's Provost, will replace Dr. Richard C. Levin who is stepping down. So, for the here and now, we should celebrate that, when noone was paying attention, now the majority of Ivy League universities -- among the elite institutions of higher education in the world -- are now being led by females! Fortune 500 companies -- take notice! I actually very much enjoy the seasons and now with a blanket of snow in western Massachusetts, the scenes are quite lovely. 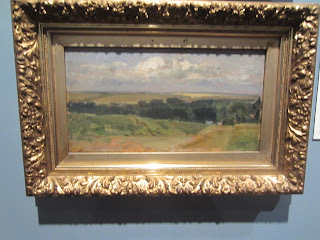 However, if one yearns for a brighter landscape than scenes of white with a blue sky then why not go to a local museum? Although my family had been to the Springfield Museums several times, this past week, was my first venture there with them. 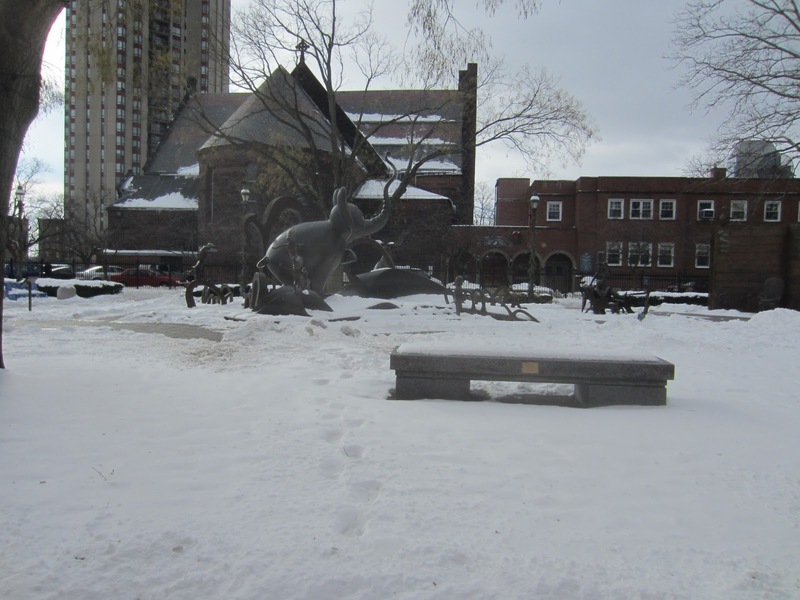 It was January 2 and very peaceful. 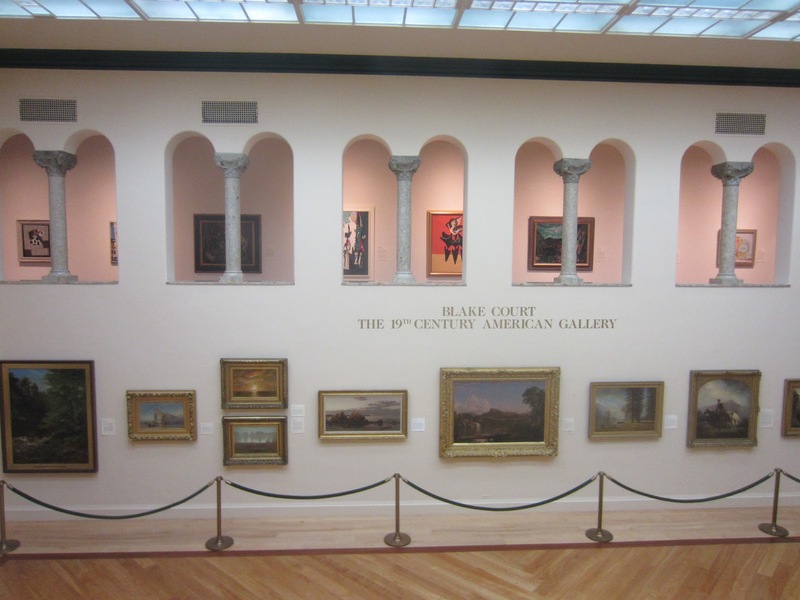 The museums are located in an elegant quad and you can view all of them at one price. We made it to the D'Amour Art Museum and the Science Museum. 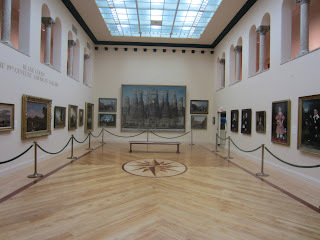 I was very pleasantly surprised by the elegance of the architecture and the stunning art. 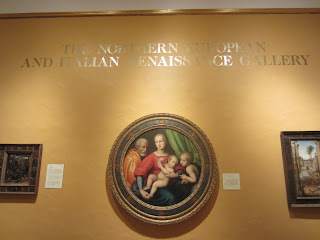 I captured some of my favorite images in the Art Museum in the photos below. Then it was back to finishing up a research paper on supply chain networks (after a great meal -- more below). 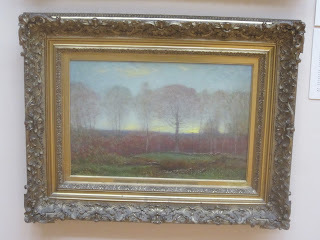 Artists create works that last and one can't help but be inspired by art created centuries ago or event more recently. 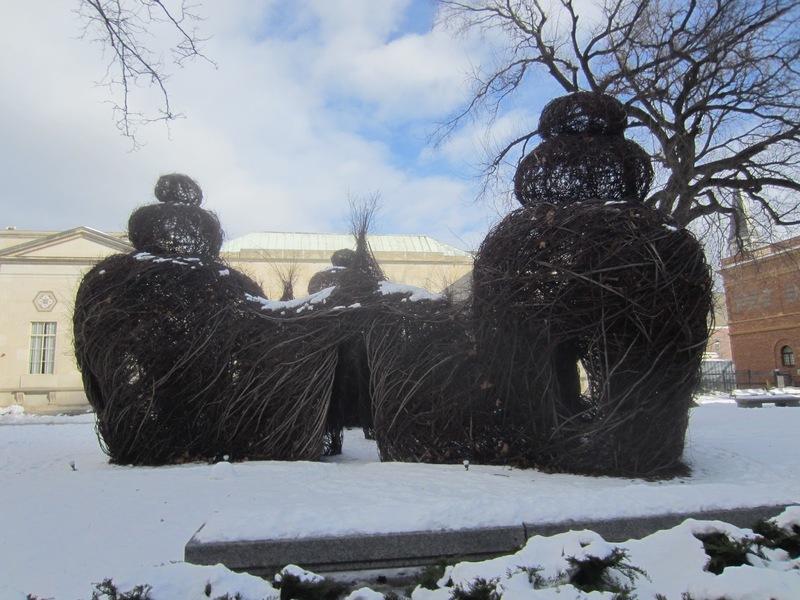 And the outdoor sculptures were also very enjoyable with some inspired by Dr. Seuss' creations. 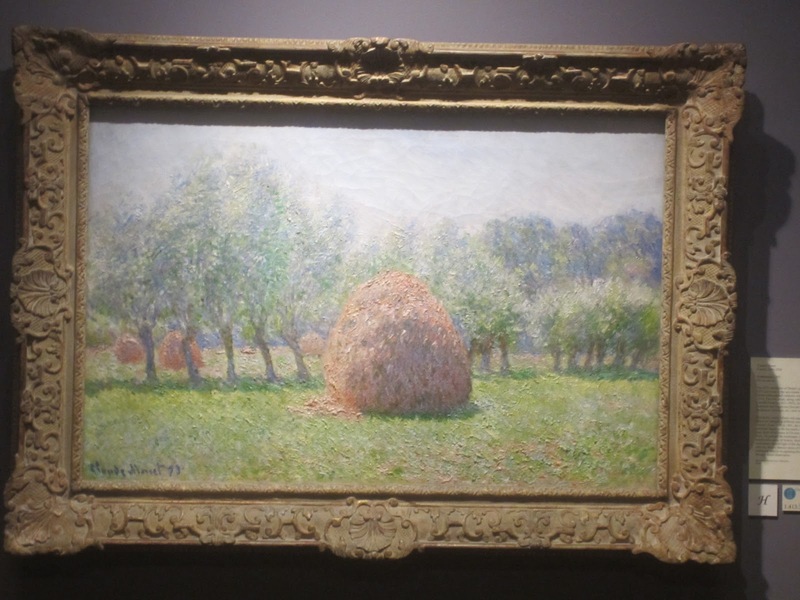 Incredible to be able to view Impressionist paintings including Monet's, right in Springfield. 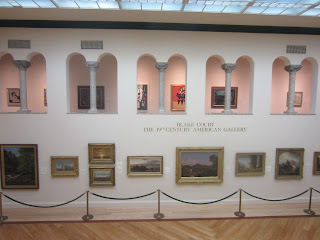 And for those of you who are still hungry for more art, I highly recommend a visit to Smith College Art Museum as well as to the Amherst College one! As for food for the body, we ended our excursion with a delicious meal at The Student Prince in downtown Springfield. The Wiener schnitzel, red cabbage, and spaetzel, reminded us of similar fare at our favorite restaurant in Innsbruck, Austria -- Planotzenhof. The meal that we had was absolutely delicious and we had enough left for another dinner at home. Each year, there are lists of favorite books made. This past year has been personally a Year of the Book for me. I just finished correcting the galleys for my new book, which I will be writing more about in future posts. 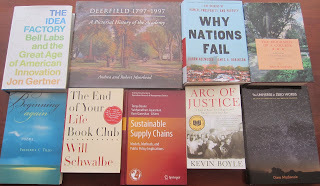 In this post, I highlight some books that I recently read, reread, or am still working through, which are featured in the photo below. Each of these books also represents a personal connection. Why Nations Fail was written by Daron Acemoglu and James A. Robinson. Daron is a Professor at MIT and we hosted him in our INFORMS Speaker Series in the Fall of 2008. Our legendary former Dean, Dr. Tom O'Brien, along with the UMass Amherst INFORMS Student Chapter, helped me to plan and sponsor his visit, which was also advertised with our Finance Speaker Series. His wife is Professor Asu Ozdaglar, also of MIT, and she and I were plenary speakers at the NetGCOOP conference in glorious Paris in October 2011. Why Nations Fail is a riveting volume of economic history. 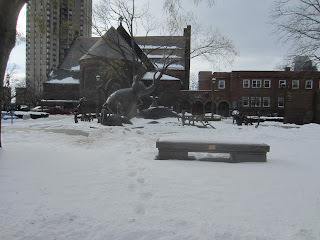 The Idea Factory by Jon Gertner I had written about previously on this blog.since I had received an interesting email from Ronald Capik, who had worked at Bell Labs, about an even earlier post that led to some additional sleuthing work. A photo in The New York Times, although originally labeled as being of Bell Labs researchers, actually was not. Bell Labs was a center of innovation in the US and I knew quite a few individuals in operations research that had worked there. I often write about leadership, creativity, and innovation on this blog and as a "techie" highly recommend it. The Universe in Zero Words by Dana Mackenzie, who writes also for AMS and SIAM publications, is a very entertaining book on mathematics as told through equations. It is nicely illustrated and Dana's sense of humor livens up the book. As a lover of math and equations, as well as the history of science, I enjoyed the book very much and told Dana so. He had spoken with me at length about supply chains and the work that we had done also on humanitarian supply chains. And, speaking of supply chains, the book, Sustainable Supply Chains, that was published in 2012, and edited by Professors Tonya Boone, Vaidyanathan Jayaraman, and Ram Ganeshan, is a terrific collection of works on this topic, which is very near and dear to me. My doctoral student, Amir H. Masoumi, and I have a chapter on sustainable blood supply chains in the book, and the other contributors' names any of my readers in operations research or operations management will recognize. Arc of Justice by Kevin Boyle, which was the recipient of a National Book Award a few years ago, was recommended to me by Professor David E. Boyce at a dinner in honor of him and hosted by Professor Higano of Japan. Coincidentally at the dinner, which took place in Ottawa, Canada, I was seated next to the proud father-in-law of Boyle, Professor Art Getis, who, like Professor Boyce, is a luminary in the discipline of Regional Science. Professor Boyce told me that he could not put the book down! Two of my favorite books are on outstanding educational institutions. The book by the Moorheads -- long-time teachers at Deerfield Academy, my daughter's alma mater, is A Pictorial History of the Academy. It is a stunning volume that I enjoy perusing, time and time again. Mrs. Moorhead was my daughter's French teacher her senior year at Deerfield and we have enjoyed seeing both Mr. and Mrs. Moorhead at Amherst Chinese Foods. Lucky are children who have such special educators in their lives! The Biography of a College by Albert W. Gendebien, is the third volume in the history of Lafayette College, my husband's undergraduate alma mater, located in Easton, Pennsylvania. We met when he was a grad student at Brown University and I was a freshman at Brown. He still stays in touch with some of his former professors there and the campus on College Hill is beautiful! We visit there quite regularly. Beginning Again is a book of poems by my neighbor in Amherst, Professor Frederick C. Tillis. The book was delivered to our door by Professor Tillis and I return regularly to his poems that provide solace and that also remind me so much of our neighborhood. Each year, Professor Tillis and his wife are the recipients of our holiday cookie plates. We very much enjoy our conversations with him! Some of us are artists, musicians, scientists, writers, educators, technologists and engineers, leaders of corporations, doctors and nurses, and/or entrepreneurs. Being creative requires focus to accomplish the task and in this world of increasing distractions and interruptions (some of it caused by advances in computer technology) I argue that computer programming is good for the brain and for the soul. Computer programming requires precision, attention to detail, creativity in terms of identifying the appropriate data structures and the design of the software, and knowledge of the underlying algorithm(s), whether developed by you or by someone else. You need to have patience and stamina and having curiosity also helps. I am always eager to see how the software programs that I develop will work. We strive for correctness of our codes and of the algorithms that we implement, with the realization that, even if initially developed as research, they may eventually be applied to solve problems ranging from those in transportation, energy, and infrastructure, to healthcare, supply chains, financial analysis, and even disaster planning and management. In writing a computer program you are creating something that is useful and something that may be quite novel and original. I have written previously about the importance of including computer programming in curricula and hope that every child before graduating from high school gets a chance to explore the power (and joy) of computer programming. Such experiences would add to a deeper understanding of technology and the underlying algorithms and would create, I believe, a richer appreciation of mathematics and its role in our world today. Recently, I have been working on different computer programs (software codes) for game theory problems in applications ranging from the redesign of the Internet, on a project funded by NSF, to competition in supply chain networks with outsourcing. There is great satisfaction in seeing the mathematical models that one develops and implements algorithms for actually being solved with code that you have programmed yourself. It is very rewarding to see your focus and efforts resulting in what is a type of product. One can then also address and answer so many interesting questions through simulations! Hence, computer programming is good for the soul, too!